Year-to-date, Ecofin Global Utilities and Infrastructure Trust (EGL)’s manager, Jean-Hugues de Lamaze, has avoided the fall-out from the bankruptcy of Californian utility Pacific Gas & Electric (see page 4), and the trust’s NAV performance has been strong (a total return of 10.9% to the end of March 2019), outperforming both the MSCI World Utilities and S&P Global Infrastructure Indices. Despite this, EGL has been trading at the wider end of its discount range (it reached a 12-month high of 17.4% on 21st March 2019), which may have provided investors with chances to buy shares at attractive levels. Jean-Hugues feels that EGL’s portfolio is well positioned to benefit from improving earnings quality and cash flow growth from its underlying holdings. EGL seeks to provide a high, secure dividend yield and to realise longterm growth, while taking care to preserve shareholders’ capital. It invests principally in the equity of utility and infrastructure companies which are listed on recognised stock exchanges in Europe, North America and other developed OECD countries. It targets a dividend yield of at least 4% per annum on its net assets, paid quarterly and can use gearing and distributable reserves to achieve this. As illustrated in Figures 1 and 2, global utilities have broadly underperformed global equity markets during the last five years, but staged a strong recovery during the last quarter of 2018. As discussed in previous QuotedData notes on EGL, there have been distinct periods of out or underperformance that have been largely driven by political and economic considerations, rather than company fundamentals. Earnings growth has generally been strong, helped by improved power prices and, in some cases, years of cost cutting. While valuations have increased, they are not excessive, with price-earnings (P/E) ratios modestly above their five-year averages. For example, as at 8 April 2019, the MSCI World Utilities Index was trading at a 12-month forward P/E ratio of 16.7x versus a five-year average of 16.0x. (Five-year range: 14.1x to 17.6x). This may reflect an increasing appetite for such defensive exposures. As discussed in QuotedData’s previous notes, the utilities and infrastructure sectors suffered heavily at the beginning of 2018 (investors focused on growth stocks with renewed enthusiasm post-President Trump’s election and there were also heightened concerns over the potential for interest rate rises). EGL’s manager’s response was to significantly increase EGL’s gearing (borrowing) in February and March, and this strategy paid off as these sectors recovered, outperforming the broader market in the process. However, while utilities performed well on an absolute and relative basis during the second half of 2018 (the MSCI World Utilities Index returned 5.1% in sterling total return terms, while the MSCI World Index fell by 5.6% on the same basis), the Morandi Bridge disaster (see below) weighed heavily on infrastructure assets (the S&P Global Infrastructure Index returned -4.9% in sterling total return terms). As discussed in more detail below, the manager expects to see a further recovery in infrastructure shares (the S&P Global Infrastructure Index has returned 10.6% during the 3 months to the end of March 2019) and to see further benefits from higher power prices. The portfolio holds a mixture of defensive (stocks whose performance is relatively independent of the performance of the economy) and late cycle names (those that tend to perform well towards the end of the economic cycle), and Jean-Hugues thinks that it is well positioned for the current macro environment, and to reap the benefits of improving fundamentals in its sectors. Traditionally the performance of the utilities and infrastructure sectors have tended to be highly correlated. However, on 14 August 2018, a 200-metre section of the Morandi Bridge, in the city of Genoa, Italy, collapsed, killing some 43 people and rendering some 600 people homeless. Utilities and infrastructure assets tend to be seen as safe, stable investments. They make long-term investments in things that society needs. Their utilisation tends to be somewhat isolated from the vagaries of the economic cycle; their revenues often benefit from government backing. However, the bridge collapse in Genoa suggested that there can be serious hidden risks within infrastructure, and these may not always be the safe, quasi-risk-free assets that some investors have taken them to be. Hence the need to outsource the management of these assets to dedicated investment teams. Atlantia S.p.A. held the concession that included the Morandi Bridge. Its share price suffered heavily in August 2018, on fears that it might lose other Italian motorway concessions. EGL did not own Atlantia, but the impact of the disaster was not just limited to the concession holder. The bridge collapse created a general concern in the market about these types of infrastructure assets. These started to underperform and disconnected from utilities that, in contrast, performed well in the second half of 2018. Utilities defensive characteristics found favour as global economic growth showed signs of weakening. 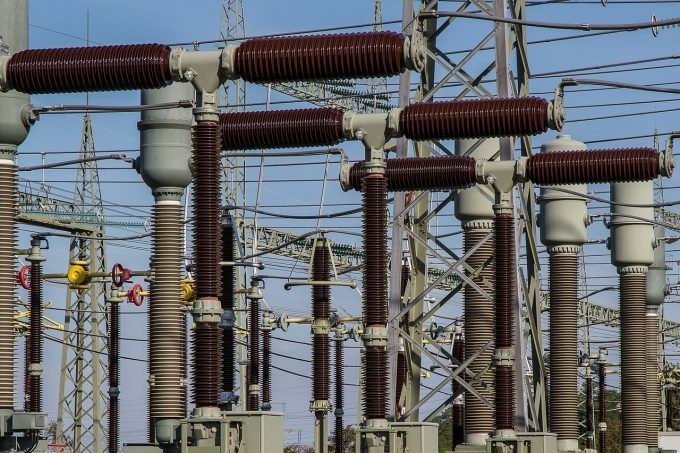 EGL’s manager does not expect this disconnect to be permanent, and thinks that EGL’s infrastructure holdings are well positioned for a recovery during 2019. As discussed in some detail in QuotedData’s October 2018 annual overview note (see pages 8 and 9 of that note), power prices increased meaningfully during 2018. The primary drivers were rising commodity prices and a reform of the EU’s emission trading system (EU ETS). The power price increase benefits all power producers, but it is highly beneficial to the fixed-cost producers (for example, renewables and nuclear generators) who see the full benefit drop through to their bottom lines. Jean-Hugues believes that the market underestimates the impact of commodity prices on power prices (higher commodity prices lead to higher power prices, which drives utility companies’ earnings). He says that the quality of utilities’ earnings has improved significantly, and that share price rises have been justified by reported earnings, which he says have been at the top end of the range of expectations. Jean-Hugues expects to see the benefits of improved fundamentals to continue for some time. 2019 began with a very unusual event in the utilities space. Pacific Gas & Electric Corporation (PG&E), the parent company of California’s largest utility, filed for Chapter 11 bankruptcy protection. Although a judge had cleared PG&E of responsibility for the California wildfires of 2017, other lawsuits rumble on and the company has cited a potential liability in respect of the 2017 and 2018 northern California wildfires that could exceed US$30bn. EGL did not own PG&E in its portfolio. Following the 2017 wildfires, the California Department of Forestry and Fire Protection said that a number of the wildfires were sparked by power lines owned by PG&E, and that it had found evidence of alleged violations of state law. Jean-Hugues felt that PG&E’s business model was fundamentally at risk due to these events, and avoided PG&E’s shares. However, as events continued to unfold, he became more concerned about the impact that this could have on businesses associated with PG&E. In conjunction with his colleagues in the Tortoise team in the US (see page 11), the manager conducted an analysis of the sector to identify companies that could be at risk. The team identified two of EGL’s holdings that had contracts with PG&E, which it felt could become a problem. These were Atlantica Yield and Clearway Energy (formerly NRG Yield). Both holdings were small but, following this analysis, Jean-Hugues made the decision to sell out of both in their entirety. These transactions were completed the day before PG&E filed for bankruptcy protection and both stocks fell 8–10% after EGL’s exit. Jean-Hugues says that the insight provided by his new colleagues in the US helped significantly, as they had a good understanding of the situation early on. The analysis was conducted quickly, allowing Jean-Hugues to reposition the portfolio ahead of PG&E filing for protection. It is noteworthy that NextEra Energy Partners, the largest yieldco in EGL’s portfolio, also has contracts with PG&E. However, Jean-Hugues felt that its parent could compensate for any loss in cash flow and is confident that its dividend is not at risk. Since QuotedData last published on EGL in October 2018, portfolio activity has been low, which is reflected in the limited changes to the names in the top 10 holdings (see Figure 6). However, as markets generally and utilities and infrastructure shares have moved up significantly this year, the manager has become more cautious regarding the gearing level in the trust and this has been reduced, from 14.9% as at 31 December 2018 to 10.1% as at 29 March 2019. This is consistent with the manager’s previous gearing (borrowing) strategy (the gearing percentage is increased when markets fall and reduced when they move ahead). The reduction is through a combination of share price rises within the portfolio and net sales to lock in profits in the current pricing environment. In part reflecting this, the number of holdings as at the end of March 2019 was 40. This is a reduction from the 42 holdings that EGL had at the end of September 2018, and the 44 holdings held at the end of March 2018. At the end of March 2019, EGL’s geographic allocations were largely unchanged from those at the end of September 2018 (the most recently-available data when QuotedData published its last note on EGL). At a sector level, infrastructure has been relabelled as transportation and this has seen a one percentage point increase, integrated utilities have also increased by one percentage point and renewables are down by two percentage points. Figure 6 shows EGL’s top 10 holdings as at 29 March 2019 and how these have changed since 30 September 2018. New entrants to the top 10 are Enel and RWE. Names that have slipped just below the top 10 are Algonquin Power & Utilities and Williams Companies. Some of the more interesting changes are discussed below. Readers interested in other names in the top 10 should see QuotedData’s previous notes, where many of these have been previously discussed (see page 12 of this note). RWE (www.rwe.com) is a German electric utilities company based in Essen, North Rhine-Westphalia. It is a large electricity generator that traditionally was focused primarily on coal-fired production. Jean-Hugues has a strong belief in the investment case for RWE, and has been using periods of weakness to build a stake. RWE has been increasing its exposure to renewables, bolstered by the acquisition of E.ON’s clean power portfolio. In March 2018, a somewhat complicated deal between RWE and E.ON was proposed that was to be transformative for both. E.ON was to acquire RWE’s 76.8% stake in Innogy, the company it created to hold the assets of its renewable generation, grid and retail businesses in Europe. In exchange, E.ON was to return the renewable energy assets held by Innogy to RWE along with handing over its own renewable energy assets. The deal was structured with the aim of giving E.ON control of the retail and network business of both companies, while RWE would gain control of both renewables businesses. Jean-Hugues says that public opinion towards nuclear generation has turned very negative in Germany and Belgium; he says that there is no new investment in nuclear in these countries (It is also noteworthy that Italy ended nuclear generation in 1990 following a public referendum three years earlier and Spain announced plans, in February 2019, to close all seven of its nuclear power plants by 2035). However, while renewables remain a growing part of the power generation mix, their supply is intermittent, and these European countries are very reliant on France’s excess nuclear capacity to satisfy their own consumption. France, which has a negligible anti-nuclear lobby, is fully self-sufficient and has become a large exporter of power. Germany is set to phase out nuclear generation by 2021, and coal fired generation by 2038 (in a bid to meet its climate change targets). This suggests that there will be further scarcity of supply issues and increasing demand for renewables. RWE successfully sued the German government for its decision to exit nuclear and lignite/coal operators (including RWE) are now in negotiation with the state regarding compensation for the closure of coal mines and plants. A commission has been appointed to look at the issue, with a decision expected later this year, and Jean-Hugues says that the company appears confident of achieving a good result, as it did with the nuclear exit. If so, this will help fund its further expansion into renewables. Ultimately, Jean-Hugues likes RWE’s major strategy shift with its focus on renewables. The Innogy/E.ON deal accelerates this, allowing RWE to become one of the largest players in the space. Jean-Hugues thinks that E.ON is following a riskier strategy. He cautions that a more stringent political environment for retail businesses in the UK is feeding through to other countries in Europe. He sees the UK’s price cap as a purely political decision, noting that the regulator, Ofgem, had not complained about pricing discrepancies in the sector. Coal generation is being removed from the system and, with delays in the build out of new nuclear generation capacity, reserve margins are tight (the reserve margin is the available capacity that is over and that needed to meet normal peak demand levels), contributing to rising power prices and placing retail suppliers under pressure. These factors are driving moves to consolidate the UK retail power supply sector, but this is not without challenges (SSE’s move to spin off its retail segment was blocked) and it may be difficult to find potential buyers. Enel (www.enel.com) is an Italian multinational producer and distributor of electricity and gas that was discussed previously in QuotedData’s March 2018 note (see page 6 of that note). In that note, commentary was provided on the improving regulatory environment in Italy. This has encouraged Jean-Hugues to increase EGL’s exposure to both Enel and Snam Rete Gas (Snam – www.snam.it/en). Snam is an Italian natural gas infrastructure company that is one of Europe’s main regulated gas companies; in addition to its Italian business, it has operations in Austria, France and the UK. Jean-Hugues says that, whilst the politics in Italy are incredibly difficult, the framework for regulated utilities is perhaps the most attractive in Europe. He says that this is because it is the most dependent on external supply (it has outlawed nuclear and also seeks to reduce its dependency on fossil fuels). Consequently, Italy has a massive need for investment in its networks and interconnections and the regulatory environment has been designed to incentivise private operators to invest in the necessary infrastructure. Jean-Hugues continues to like both Enel and Snam, which are EGL’s largest regulated exposures. EGL’s portfolio continues to have about a 40% exposure to US utilities and infrastructure but, after an especially strong performance in 2018, these positions are generally trading at what the manager considers to be high valuation multiples (making them expensive). This exposure has therefore been trimmed, to make way for positions that the manager has identified as being better value. As discussed on page 2 of this note, the utilities and infrastructure sectors suffered heavily at the beginning of 2018 as investors rotated towards growth stocks, bolstered by President Trump’s tax reforms. EGL’s manager increased gearing (borrowing) in February and March 2018 and this strategy paid off as these sectors recovered, outperforming the broader market in the process. However, following the Morandi Bridge disaster, the performance of infrastructure assets disconnected from utilities, which continued to perform well, especially in the US. This was a factor in EGL’s underperformance of the US-heavy MSCI World Utilities Index. In 2018, EGL provided an NAV total return of 0.9% against the MSCI World Utilities Index’s 8.3% and the S&P Global Infrastructure Index’s return of -7.8%. However, the manager sees no fundamental reason for this disconnect to continue, and thinks EGL is well positioned for a recovery in infrastructure names. Performance so far this year (taken from 31 December 2018n to 31 March 2019 – see Figure 11) suggests that he is right. EGL’s NAV returned 10.9% in total return terms to the end of March 2019, while the MSCI World Utilities Index has returned 7.5%. The manager says that it has been disappointed by the stubbornness of EGL’s discount. This comes against a backdrop of strong NAV performance, efforts by the manager and board to raise the profile of the trust, the continuation vote passing and and the implementation of a 0.25% a year reduction in the management fee. As illustrated in Figure 13, EGL’s discount has tended to trade in a range and has tended to move back to trading close to its long-term average level. More recently, the discount hit a 12-month high of 17.4% on 21 March 2019, and is still trading at above-average levels. As at 9 April 2019, EGL was trading at a 14.6% discount. This is wider than its 12-month average of 12.2% and the average since launch of 11.8%. The discount is much wider than the board would like or expect it to be. Although it is stated in EGL’s prospectus that the board will consider using share repurchases to assist in limiting any sustained discount and discount volatility, there is no formal discount control mechanism, or discount target, and, to date, the trust has not repurchased any of its shares. EGL is delivering on its long-term total return target and given its present size, share repurchases might have a limited impact on the discount as they would also serve to reduce liquidity and put upward pressure on EGL’s ongoing charges ratio). Instead, EGL might be better served by increasing its size, and continue to be positive on the efforts being made to increase awareness of the trust among investors. The 0.25% reduction in the management fee that took effect from 5 March 2019 (see page 11) is likely to be welcomed by investors. As discussed below, EGL’s strategy has room to grow. This may be possible if outperformance is sustained and an improvement in its rating is achieved. The discount has shown a tendency to narrow and widen as the sector has moved in and out of favour. Given that we are increasingly late-cycle, the trust could find itself the beneficiary of increased investor interest in the event that the economic cycle turns. Ecofin Global Utilities and Infrastructure Trust Plc is a UK investment trust listed on the main market of the London Stock Exchange (LSE). The trust invests globally in the equity and equity-related securities of companies operating in the utility and other economic infrastructure sectors. EGL is designed for investors who are looking for a high level of income, would like to see that income grow, and wish to preserve their capital and have the prospect of some capital growth as well. Reflecting its capital preservation objective, EGL does not invest in start-ups, small businesses or illiquid securities, as these may involve significant technological or business risk. Instead, it invests primarily in businesses in developed markets, which have ‘defensive growth’ characteristics: a beta less than the market average (beta is a measure of the volatility of a security or a portfolio in comparison to the market as a whole); dividend yield greater than the market average; forward-looking earnings per share (EPS) growth; and strong cash flow generation. Water and environment – companies operating in the water supply, wastewater, water treatment and environmental services industries. EGL does not invest in telecommunications companies or companies that own or operate social infrastructure assets funded by the public sector (for example, schools, hospitals or prisons). EGL does not have a formal benchmark and its portfolio is not constructed with reference to an index. However, for the purposes of comparison, EGL compares itself to the MSCI World Utilities Index, the S&P Global Infrastructure Index, the MSCI World Index and the All-Share Index in its own literature. A similar approach has been used here, but with the MSCI UK Index used to represent the UK market. Of the three indices, the MSCI World Utilities Index is possibly the most relevant – although it should be noted that this index has a strong bias towards US companies. EGL had a market capitalisation of £119.4m as at 9 April 2019. The manager believes that its strategy could easily be applied to a much larger fund and its defensive growth characteristics should prove attractive to investors. Expanding the size of the trust should, all things being equal, have the dual benefits of further reducing the ongoing charges ratio (EGL has recently reduced its management fee – see page 11) and improving liquidity in EGL’s shares. On 3 December 2018, EGL announced that its investment manager, Ecofin Limited, had been acquired by Kansas City-based Tortoise Investments, LLC. Tortoise Investments (Tortoise) owns a family of investment management firms that collectively had an AUM of US$20.2bn as at 28 February 2019. This includes five New York Stock Exchange-listed closed-end investment funds, putting EGL in good company (Tortoise was the first to launch a gas mid-stream-focused closed-end fund in the US, some 15 years ago). Ecofin Limited is now fully owned by Tortoise, but remains a separate entity, regulated by the FCA and SEC, and continues to be managed from London. Tortoise describes itself as investing in essential assets – those assets and services that are indispensable to the economy and society. It operates in a number of areas (for example, credit, sustainable infrastructure, social infrastructure, and digital infrastructure) but it is an energy specialist and has historically focused on traditional thermal sources of generation. This has included running master limited partnerships, where Tortoise is one of the biggest in the industry. Launched in 2002, Tortoise has grown quickly but is still looking to grow its AUM and diversify its operations. With the global move towards an increasing proportion of energy supply being met by renewables, the acquisition of Ecofin – a specialist in this field – is a very complementary add on. Both parties are able to benefit from the increased resources and expertise of the combined entity. For example, Ecofin Limited (now Tortoise Advisors UK) now has the backing to realise its own growth ambitions; it is able to benefit from Tortoise’s strong US distribution and significant media resources; and it also benefits from Tortoise’s expertise in the North American investment universe. EGL’s manager is strong in renewables and has strong coverage of European utilities and infrastructure markets. Jean-Hugues de Lamaze continues to manage EGL’s portfolio. He says that there has been no change to the way he runs the fund, but he does now have access to the pool of talent in Kansas City, which adds considerable research expertise and boots on the ground in the US. As described in more detail in QuotedData’s October 2018 annual overview note (see page 18 of that note), EGL has an unlimited life, but its articles of association require that it offers its shareholders a continuation vote by the end of June 2019 (three years from incorporation) and then at five-yearly intervals thereafter. This first continuation vote took place at EGL’s AGM on 5 March 2019 and shareholders comfortably approved its continuation. With effect from 5 March 2019 (this being the date when the continuation vote passed), EGL’s management fee has been reduced from 1.25% of net assets to 1.0% of net assets. Also, with effect from 5 March 2019, EGL has ceased to contribute to the manager’s research costs. The manager says that, taken together, these measures are to have a material impact on the ongoing charges ratio. In all other respects, the management fee calculation remains unchanged. It should also be noted that EGL does not pay a performance fee. Readers interested in further information about EGL may wish to read QuotedData’s previous notes (details are provided in Figure 14 below). You can read the notes by clicking on them in Figure 14 or by visiting www.QuotedData.com.